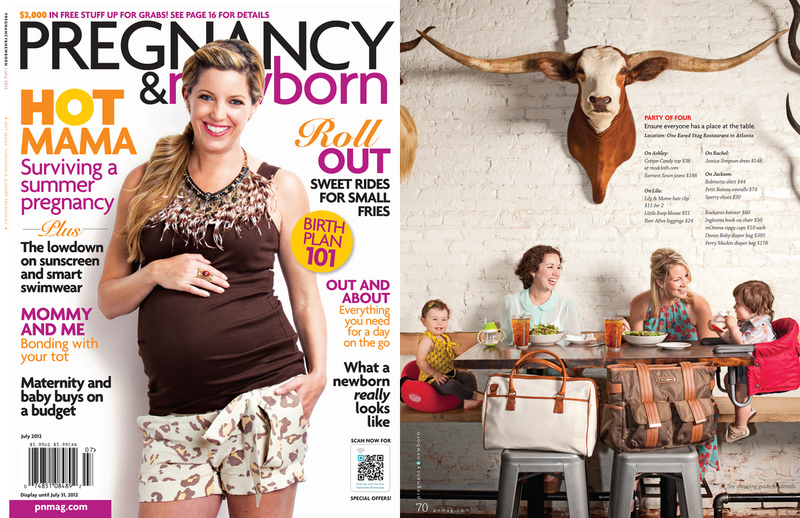 The Comfortable and Stylish Booster Seat! 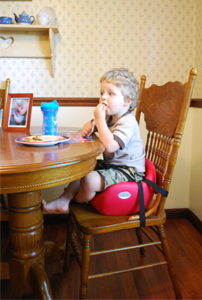 The Café Boosters are comfortable, easy to clean, durable, and easy to use toddler booster seats that can be used with most dining room chairs. 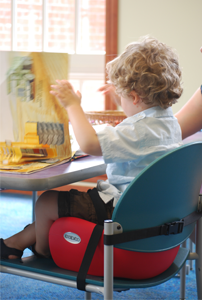 The Café Booster will keep your child sitting comfortably and safely with the skid resistant textured surface and security straps, making it easy to use on any chair. Available in a variety of colors and made with a latex-free seamless material, Café Boosters are JPMA Certified and are guaranteed to be peel-resistant and tear-resistant. 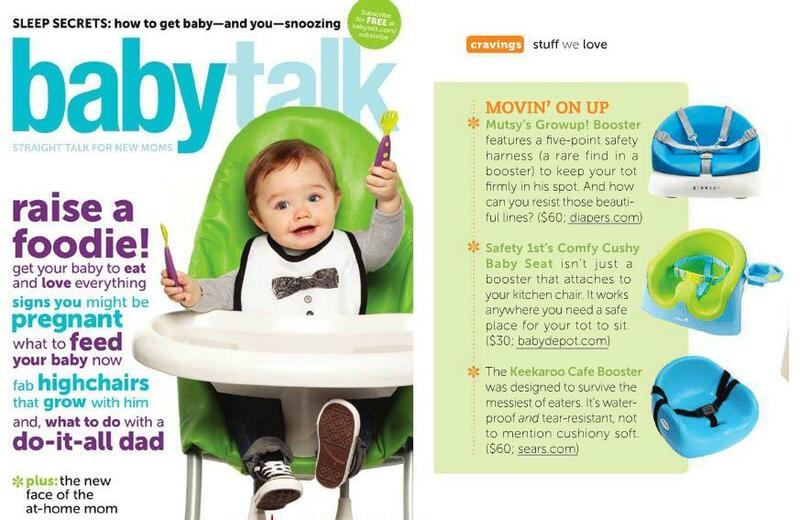 Keekaroo Café Boosters are proudly made in the USA. 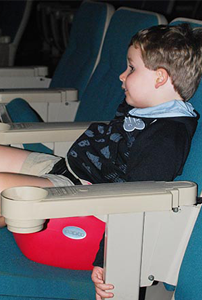 Safety Information: Keekaroo is a Member of the Juvenile Products Manufacturers Association (JPMA), and the Keekaroo Café Booster Seat is test certified to the American Society for Testing and Materials (ASTM) standard F 2640, Standard Consumer Safety Specification for Boosters. Cleaning: Café Boosters are impermeable to fluids. Simply wipe with soap and warm water. 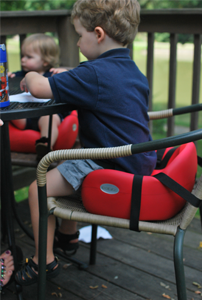 More Product Info: Chair Fitting Guide: Booster Strap Measurements. 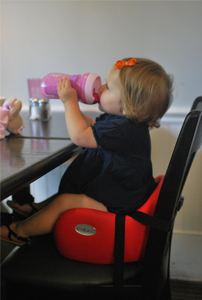 The Café Booster in Action! 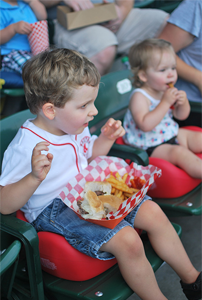 Click here to learn more about the benefits of booster seats.